What a beautiful Stag Hunter Peter made. The blade is 1095 and L-6 and is 4 3/4" in length and the overall length is 9 1/2". 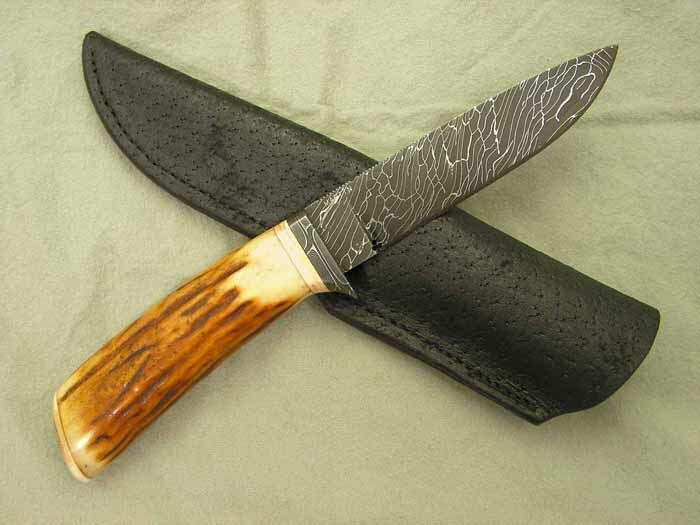 The handle is beautiful Sambar Stag with Mammoth Ivory fittings. Talk about a classy knife.